A native of Cleveland, David Ramadanoff began his professional Studies at the Cleveland Institute of Music and Temple University. He continued as a doctoral candidate at the Juilliard School from 1972 to 1975, where he also taught conducting. While studying music, Mr. Ramadanoff worked closely with Robert Page and William Smith from 1968 to 1972, with Herbert Blomstedt and Otto Werner Mueller at the Aspen Festival in the summers of 1972 and 1973, and with Seiji Ozawa, Eugen Jochum, Leonard Bernstein and Gunther Schuller at Tanglewood in 1974 and 1975. Mr. Ramadanoff credits these experiences with first expanding his vision of a conductor’s role. During these years, Mr. Ramadanoff also began his career on the podium. While Music Director of the Olney Symphony from 1972 to 1975 he was the recipient of a grant from the National Endowment for the Arts to serve as Assistant Conductor of the Syracuse Symphony (1973-1974). In 1973 he led his first opera in the New York premiere of William Walton’s The Bear for the American Opera Center. In 1975 Seiji Ozawa appointed Mr. Ramadanoff Assistant Conductor of the San Francisco Symphony, and in 1977 Edo de wart promoted him to Associate Conductor. During the six years he served with the San Francisco Symphony Mr. Ramadanoff’s responsibilities included regular appearances on the subscription concert series as well as serving as Music Director of all San Francisco Symphony educational and community concerts, a program that grew immensely in his hands. In 1979 he also became Music Director of the Master Sinfonia Chamber Orchestra in Los Altos, California. In 1980 Mr. Ramadanoff won the Leopold Stokowski Conducting Award, under whose auspices he made his Carnegie Hall debut in 1982 with the American Symphony Orchestra. During the years surrounding this debut Mr. Ramadanoff accepted many guest-conducting assignments, including performances with the Kansas City Philharmonic, the North Carolina Symphony, the San Antonio Symphony and the Grand Rapids Symphony. 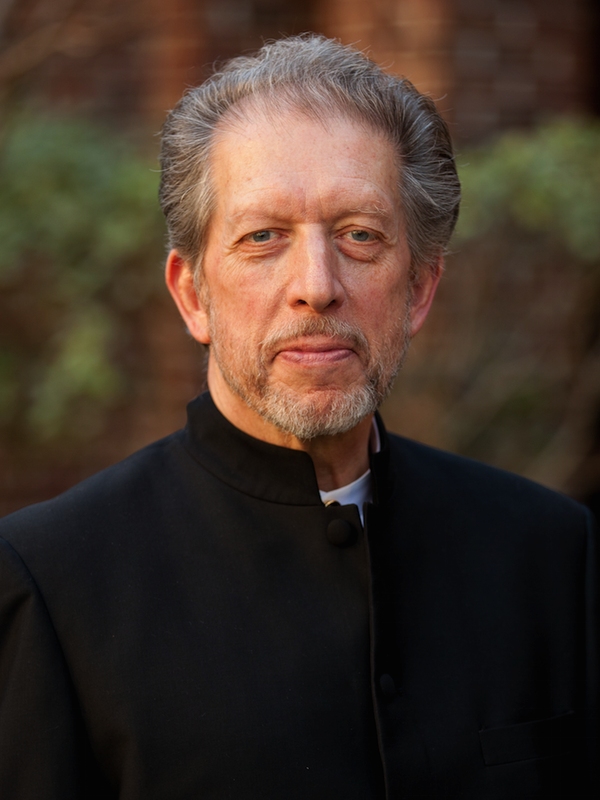 Since his appointment as Music Director of the Vallejo Symphony Orchestra in 1983, Mr. Ramadanoff has concentrated the majority of his work in the Bay Area, supplemented with occasional guest conducting. From 1984 to 1986 he conducted at least one production annually for West Bay Opera. From 1984 to 1988 he served as Director of Orchestral Activities at the San Francisco Conservatory as well as principal conductor of the SFCM orchestra. Under Mr. Ramadanoff’s direction, the orchestral training program at the San Francisco Conservatory was vastly expanded. Mr. Ramadanoff added sectional instruction taught by principal players of the San Francisco Symphony and a special wind, brass and percussion class in orchestral repertoire. During Mr. Ramadanoff’s thirty-one year tenure with the Vallejo Symphony (1983-2015) the orchestra grew from a community ensemble to an urban orchestra of regional importance. Under his leadership the orchestra developed strong community and youth outreach programs and a distinguished record of several West coast premieres including Hannibal Lokumbe’s African Portraits and Billy Childs’ The Distant Land. Mr. Ramadanoff attracted the finest players to the Vallejo Symphony, who came not only for the high level of performances, but for the challenging and interesting repertory. This combination of high standards of performance and imaginative programming have also been hallmarks of Mr. Ramadanoff’s tenure with the Master Sinfonia Chamber Orchestra. It continues to attract many of the Southern Bay Area’s finest non-professional musicians, and has grown into one of the finest orchestras in the Bay Area’s Southern Peninsula. In recent seasons MSCO presented several world premieres, most recently Jeremy Cavaterra’s Monterey Suite. The attention drawn to this work by MSCO’s performances brought Mr. Cavaterra commissions from other Bay Area Orchestras. Since 1988, Mr. Ramadanoff has been Music director and Conductor of the Young People’s Symphony Orchestra (YPSO) in Berkeley, CA. At YPSO Mr. Ramadanoff has applied many of the same principals used in the Vallejo Symphony and the Master Sinfonia Chamber Orchestra. As a consequence, YPSO is now a 100+ member orchestra with wide recognition as an outstanding youth ensemble performing challenging symphonic repertoire. Mr. Ramadanoff has lead YPSO performances on tours of China (2006), Australia/New Zealand (2008), Alaska (2010), Central Europe (2012) and most recently New York City and Boston. Over the years, Mr. Ramadanoff has made guest appearances with orchestras throughout the country to critical acclaim. And here in California his high standards and diverse repertoire have resulted in building high quality orchestras that continually gain in reputation. He now brings his special talents and leadership to the California Sound Collective.